We have the required skills, experience, and equipment to clear any piece of land regardless of its size. We will clear your land whether it’s for your parcel lot, commercial development, or industrial park. With the equipment we use and the size of our staff, we can clear the largest commercial, industrial, and residential lots faster than other tree service companies in the area. Our company has built a track record as a trusted subcontractor since we work with large residential and commercial developers. We’re proud of the fact that we’re one of the first contractors developers contact. Construction and building can’t begin until the space is clear for development. While we clear development lots, we also consider the natural landscape by preserving it as much as possible. We use all our heavy equipment so we can efficiently clear the land quickly. We work closely with everyone, which includes homeowners, homebuilders, and subdivision developers. This is to make sure that the land is prepared to still give future landscape developers something to work with. We are also concerned with maintaining as much indigenous trees as possible, but not being a hindrance to the building and construction development. Our land clearing services are not limited to tree and stump removals. We can also trim and prune trees that will not be removed on the development. We are focused on clearing any land regardless of its size. We use only the best equipment to ensure that we finish the job safely and quickly. Call us when you need parcels of land cleared for construction or development. Hire a company that can provide expert, quality land clearing service through reviews and accreditation. It’s a bonus if they also care for the environment and not just for their business. An environment-caring company would consider preserving natural landscapes. A properly equipped business can often finish their job at a much faster pace compared to their competitors. 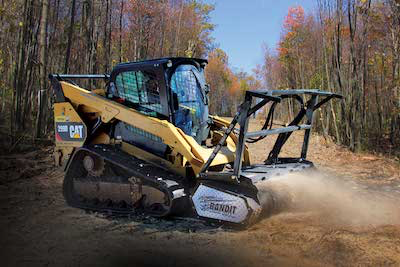 With the use of heavy equipment for land clearing, you can be sure that the outcome will not be less than the best. Quality service comes with a price. But, other companies are living up to that mindset a little too much. High priced service doesn’t mean that it’s the best. But, you must also be careful of companies that have prices which are extremely low. Consider the business that offers reasonably priced services. They’re the ones who are honest with you. Finding a company that cares for the clients can be quite rare nowadays. Consider the company that respects and treats you well, and that guarantees to deliver 100% satisfaction. Choose a company that offers various services. There’s a great chance that you’ll need them when land clearing is talked about. Other services that you might need are tree trimming, stump grinding, and brush removal. To protect yourself from unwanted liabilities, you should hire a company that is insured and licensed. If an unexpected disaster happens, you’ll be sure that you are safe financially and legally.